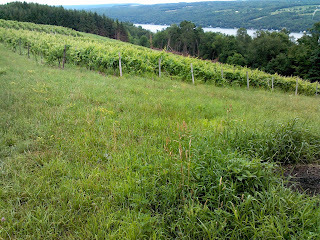 So I was out near Lake Keuka just days before the Finger Lakes Wine Festival. 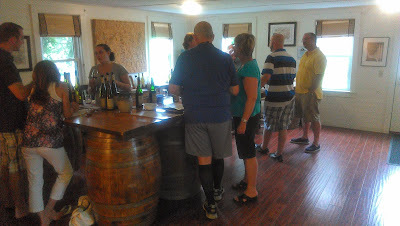 Along with friends Bryan Van Dusen and Rich Srsich, I decided to make a run to Keuka Lake Vineyards. Keuka Lake had had a run of odd circumstances, some absolutely juxtaposed. From tragic stories to supreme accomplishments. 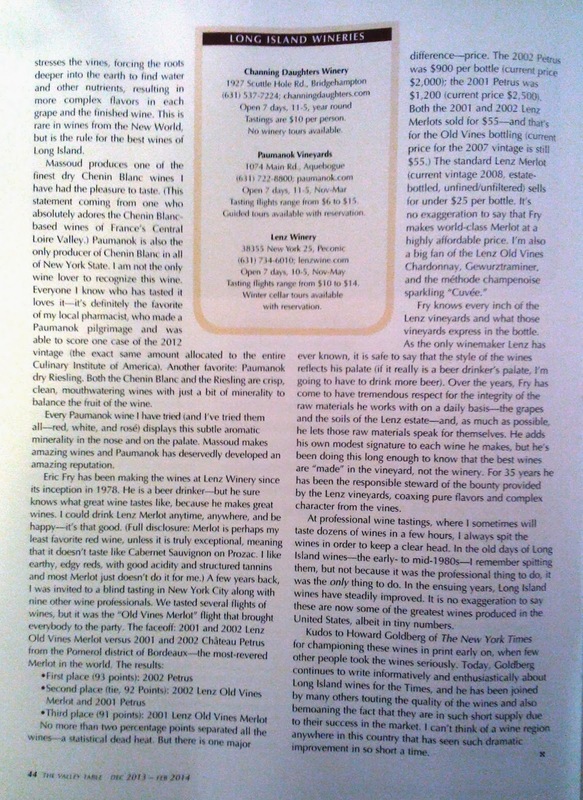 Owner Mel Kaufman had experienced a run on wine makers, had lost a vineyard worker to a terrible vineyard accident, and won one of the most coveted awards in the state – their Leon Millott had been named Best Red Wine in New York state, over the Merlots and Cab Francs of Long Island and the Pinots and Cab Franc of the Hudson Valley and the Finger Lakes. To say it was an upset was an understatement. 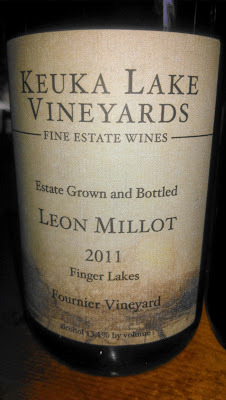 Several wine writers in the state didn’t even know what Leon Millot was, let alone know that Mel’s vineyard produced one. But in fact, Keuka Lake’s Leon Millot had been one of those collector’s wines at the winery for the previous half dozen years. 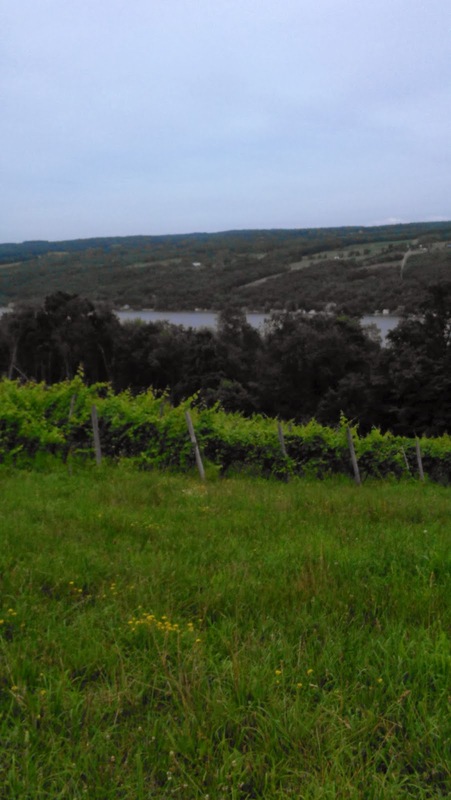 Keuka Lake Vineyards is nestled on the slopes above the southern end of Keuka Lake and are an eclectic mix of young vinifera and old hybrid plantings. They range in age from three year old plantings of Cabernet Franc and Vignoles to more than 50 year old Leon Millot and Delaware vines. They work hard to control the quality of their fruit. 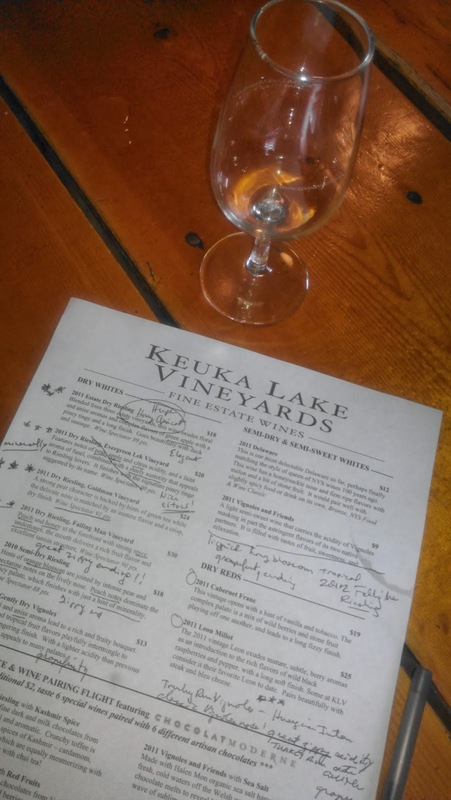 Like many makers of fine wines in the region, Keuka Vineyards attributes their fruit’s superiority to the depth and size of the Finger Lakes themselves. 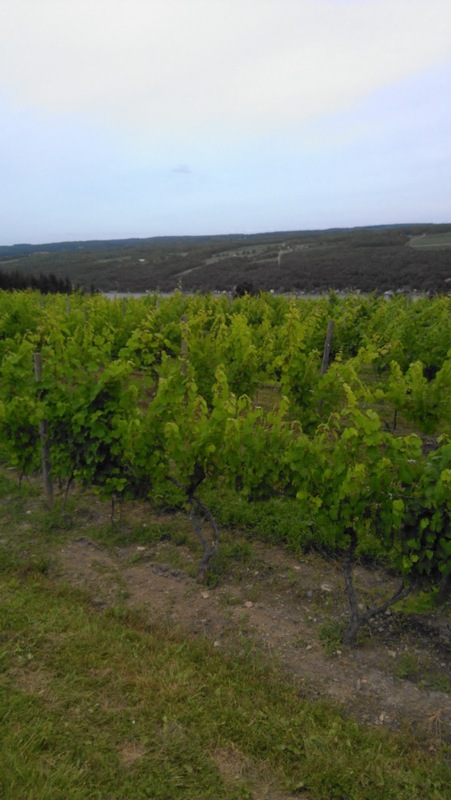 The summer heat retained by the lakes lengthens the growing season and acts to moderate the extreme cold temperatures of the vineyards in the winter. Come spring, the now frigid waters moderate the warming air temperatures, delaying bud break and lowering the risk of damage by frost. 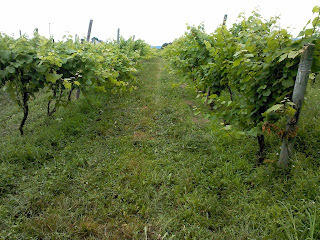 “It is the interaction of our temperate climate with the soil and topography of the land surrounding Keuka Lake that gives our vineyard sites their unique terroir. The special glacial till (mixture of glacially laid rocks, sand, silt, and clay) deposited on the lower slopes above Keuka Lake provide for the water drainage that is essential for vine balance and health. The slopes themselves allow crucial cold air drainage during the winter and maximize sun exposure over the growing season. 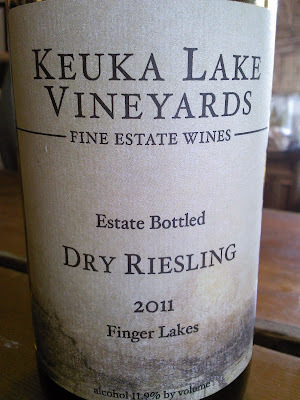 All these factors work together to provide the unique mineral and spicy characteristics of our Keuka Lake Rieslings of which KLV is duly proud,” their website proclaims. 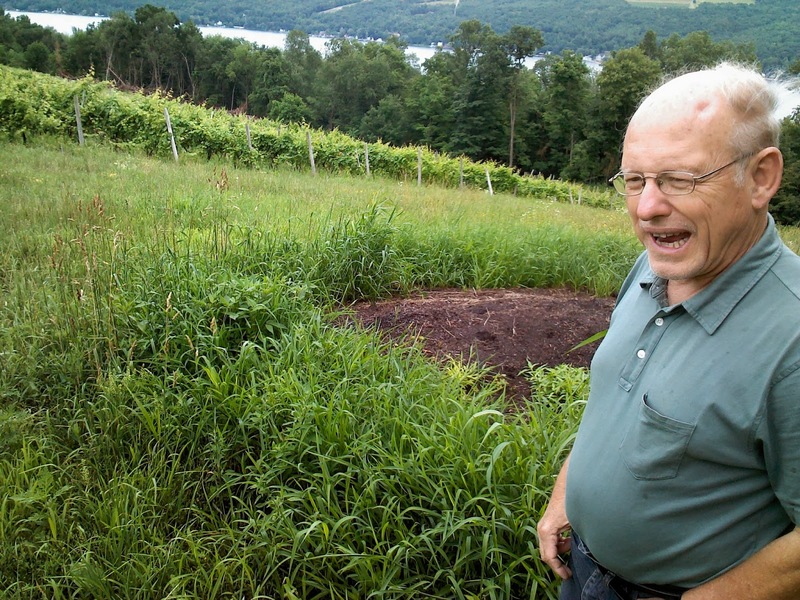 The one constant at Keuka Lake Vineyards is owner Melvin Goldman. Mel has a profound respect for farming and a passion for wine. Unlike many vineyardists in the Finger Lakes, Mel does not have a family history of grape growing. Only decades ago, he was firmly established in his career of agricultural and industrial innovation for developing countries. While on a visit to Cornell University with their son, then a high school senior, that Mel and his wife, Dorothee, fell in love with the region. Mel decided to act on his longtime desire to run a farm. He and Dorothee eventually purchased their vineyard, part of the old Taylor wine family estate. By the fall of 2005, the first vintage was made for the winery under the skilled guidance of Morten Hallgren, winemaker and owner of Ravines Wine Cellars. 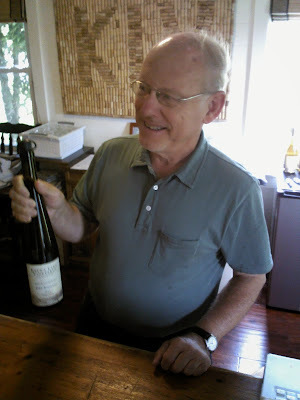 This began a string of excellent winemakers who have careened through Mel’s doors. Four created excellent wines in nine years. Staci Nugent, who continues on as Keuka Lakes consulting winemaker, was the longest serving of the winemakers. 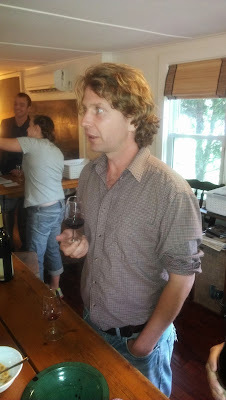 Other winemakers include Ian Barry (late of Swedish Hill, and now with Villa Bellangelo Vineyards and his own soon to open winery) and now Barry Family Cellars. Staci Nugent is both a degreed winemaker and an area native. After attending Cornell, she then moved to California to attend graduate school for genetics. It was around that time she decided on a complete career change. “While on a winery tour in the Edna Valley, I met a winemaker that had a science background very similar to my own. I was already working weekends at a winery in Gilroy but hadn't realized how strongly I wanted to do more.” Staci entered the wine program at the University of California at Davis and received her Master’s degree in Viticulture and Enology. She followed with hands-on winemaking experience by working consecutive harvests at a series of highly regarded wineries across the globe: Ornellaia in Italy, Hardy’s Tintara Winery in South Australia, and Williams Selyem in Sonoma, California. 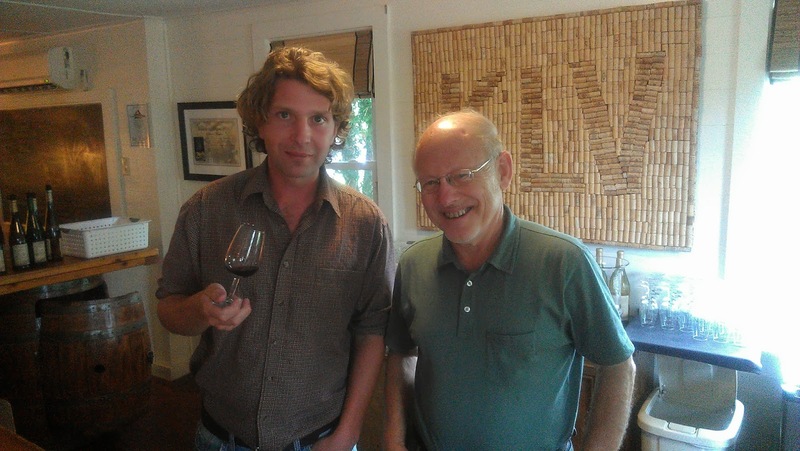 Today, the winemaker is Moss Bittner. But the one constant is always been the driving force of Mel. Mel and the winery suffered a serious setback in April of 2012. 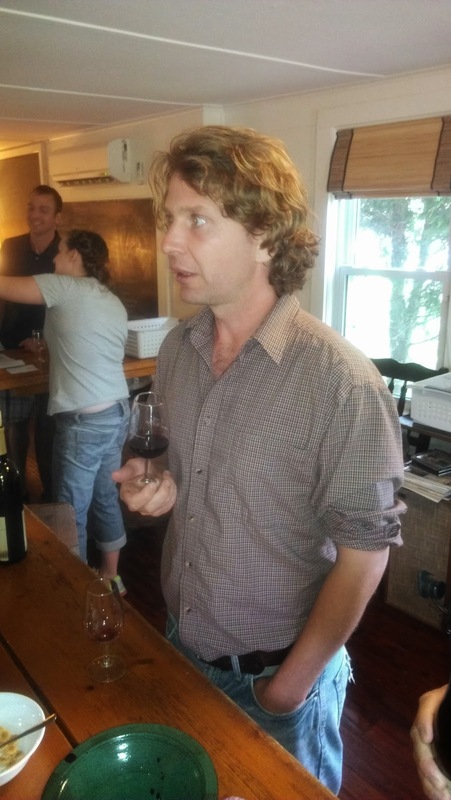 “Daniel Martin, a member of the vineyard crew at Keuka Lake Vineyards, died in an accident on Monday. 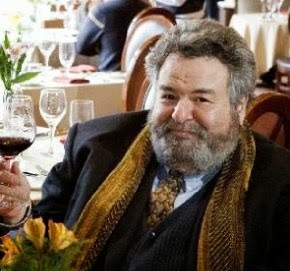 The 51-year old was pinned underneath a tractor, which he had been operating on the hill of the property,” wrote noted New York wine writer Lenn Thompson. 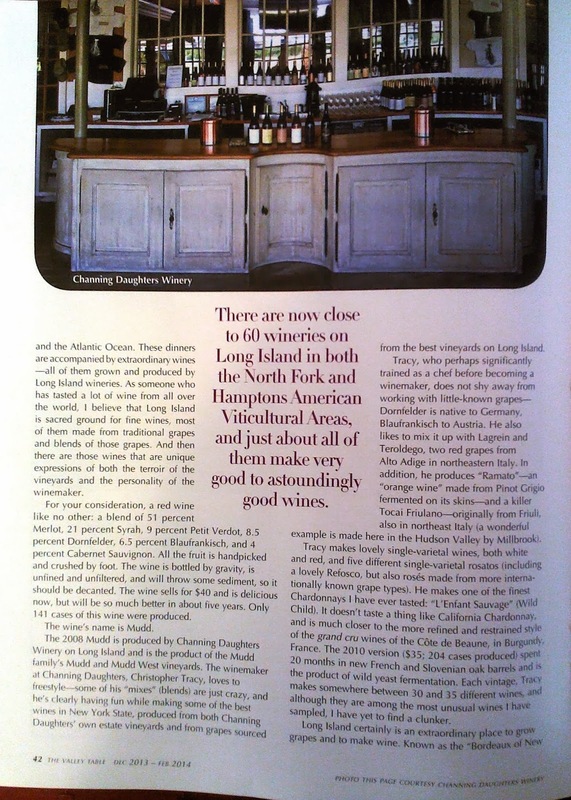 Now, onto the main reason we are here…KLV’s excellent wines. Mel was exceedingly gracious in his tour of the vineyards, and eager to pour his wines. It was an exciting endeavor. In their wonderfully appointed tastingroom Mel led us through their wines. 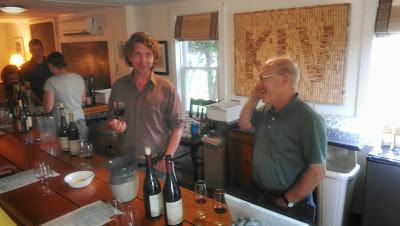 He was incredibly animated when talking about his wines, like a kid in a candy store, first pouring one wine, then another. Let me say this first, without equivocation – the first four Rieslings were among the best quality Rieslings I have tasted anywhere in the Finger Lakes. They were superb! 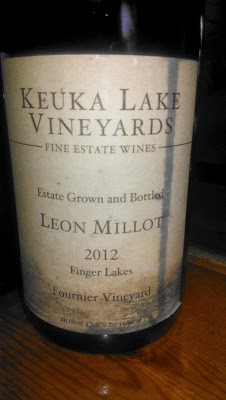 I had always known KLV for their Leon Millot, which among the best red wines produced in the state. But I was unaware of their ability to mold such incredible Rieslings! 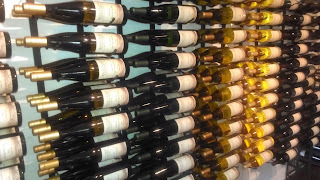 Indeed, KLV produces incredible whites all the way around. 2011 Estate Dry Riesling – This delicate white wine is blended from three estate vineyards. Huge peach and honey on the nose!!! Nice strong spiciness as promised comes through. An elegant, light white wine with great flavor and great acidity. Green apples come though too. Nice minerality. Complex and well balanced. 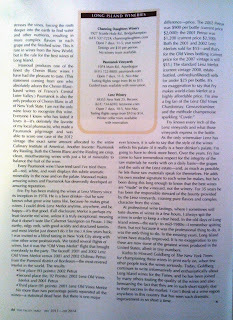 Wine Spectator 89 pts. Extremely well deserved. Fantastic wine!!! 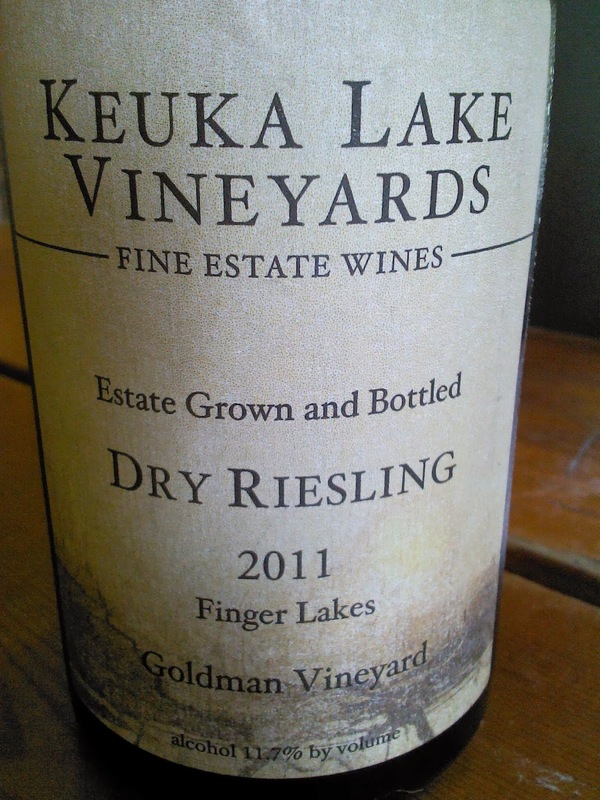 2011 Dry Riesling, Goldman Vineyard – Big notes of pear and green tea come across as promised. A beautiful light floral nose is balanced by an austere minerality and a crisp, dry finish. Spectator 91 points. Fantastic! 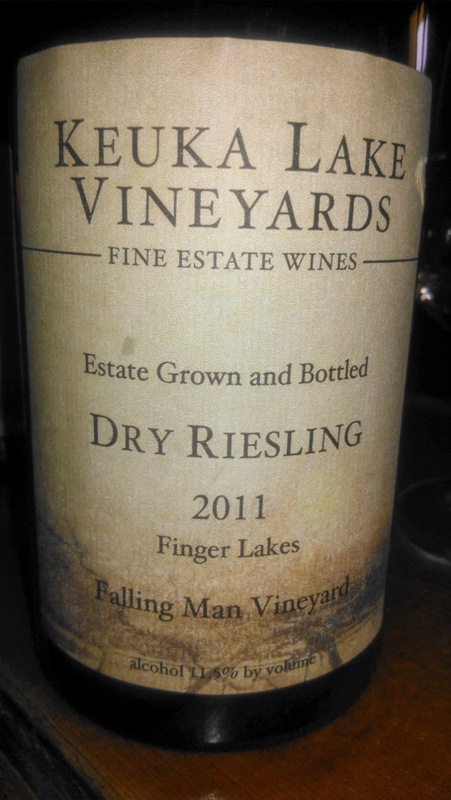 2011 Falling Man Vineyard – Again, like the estate, the Falling Man has huge notes of peach and honey and apricot and other floral notes. Great spiciness. 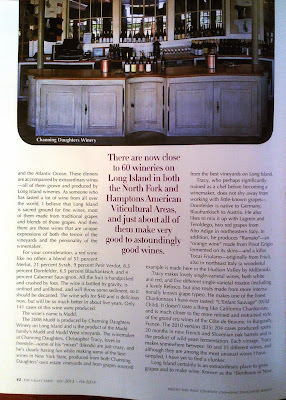 Wine Spectator 90 points. 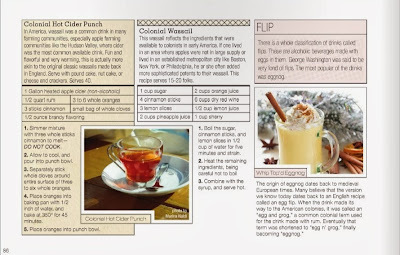 A tremendous zippy finish makes this lip-smacking good!!! Wonderful!!!! 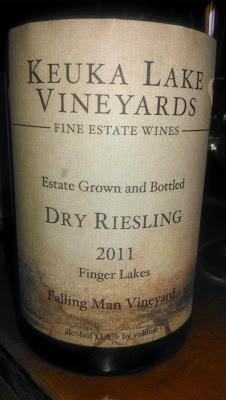 2012 Falling Man Vineyard – This had just been bottled when we came through. Licorice and honeyblossom come through in a big way!!! Huge tropical fruits too! Nice green apple across the palate. And a lovely, strong grapefruit-y ending. Very nicely balanced, and a refreshing ending. Wonderful as well! 2010 Semi-Dry Riesling – Great notes of nectarine, orange blossom, peach, and toher tropical notes. Lots of lovely green apple and leachy. Zippy acidity balances nicely with the hint of sweetness in this wine. Incredibly well balanced!! Lovely! 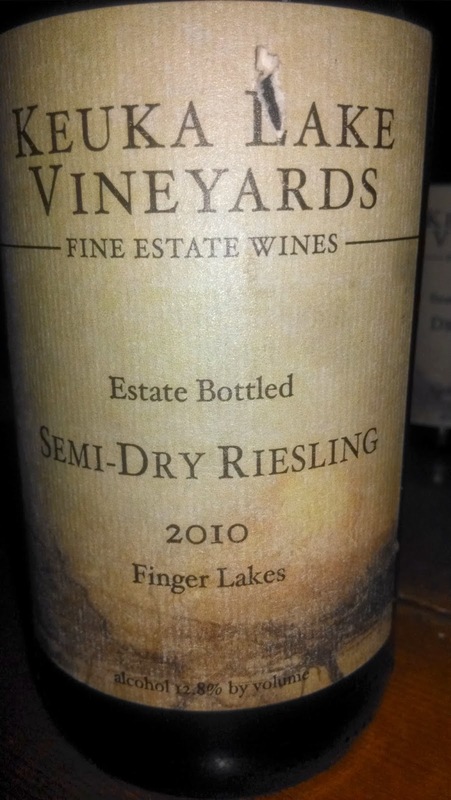 2012 Gently Dry Vignoles - Bright Meyers lemons, tropical fruits, with hints of anise and baked apple make this an elegant, delicious white wine. A nice, grapefruity finish. Perfect for oysters and shellfish. A very nice surprise. Lovely! 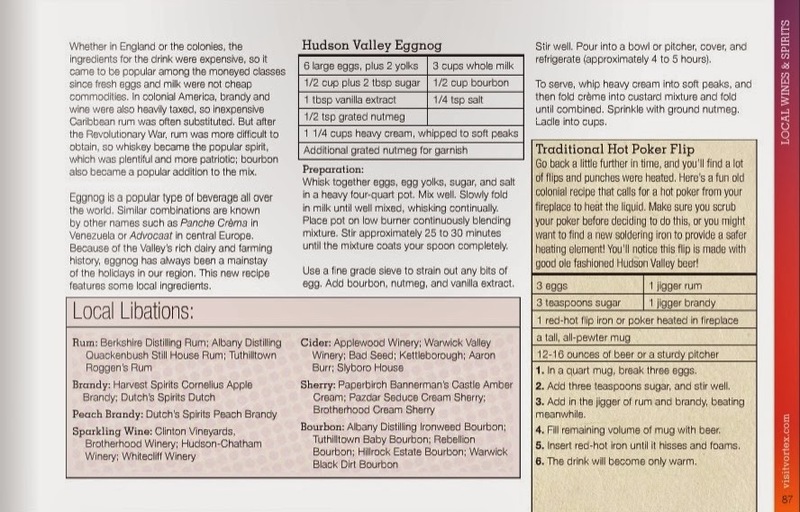 Turkey Run Vignoles 2011 – Turkey Run vineyard is so named for the turkeys who ate all the grapes. The wine was made by a Hungarian intern. Classic vignoles nose, with a great zippy ending. 16% alcohol, but you don’t smell it or taste it. A big white wine. Fantastic! 2012 Delaware, Vineyard 1950 – The Delaware grape is a cultivar derived from the grape species Vitis Labrusca or 'Fox Grape' which is used for the table and wine production. The skin of the Delaware grape when ripened is pale red almost pinkish in color. It has small fruit clusters with small berries that do not have the pronounced 'foxiness' of other Labrusca grapes. It is a commercially viable grape vine which is grown in the North East and Mid-West of America and is vigorous when grafted onto a phylloxera resistant root stock. 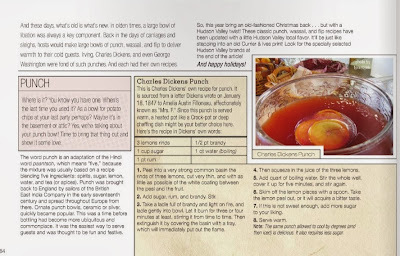 The Delaware grape was probably discovered in Frenchtown, New Jersey, but was first brought to public notice by George Campbell, of Delaware, Ohio in the 1850s. Although it is said to be an American variety its parentage is unknown and is thought to have a significant Vitis Vinifera component in its background, possibly explaining the susceptibility to fungal diseases and the requirement for grafting onto phylloxera resistant rootstock for best growth. T.V. Munson believed it to be a hybrid of labrusca, vinifera, and "bourquiniana", a class of vines now believed to be hybrids of Vitis aestivalis. The wine exploded with honeysuckle, melon, apple and pear all of which came through beautifully. This was a lovely wine that Mel was very proud to pour and with good reason. I have heard that some people in the past had made good Delawares, but had not experienced a commercial one to date. This was a lovely, white wine you could easily serve to the biggest snob with absolute assurance you’d get nothing but great response from. A wonderful wine, and a huge surprise. HUGE, floral, fruity nose. Beautiful, dry finish. A wine definitely worth seeking out!!!! 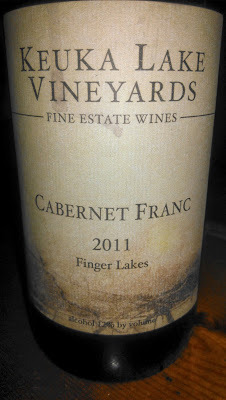 2011 Cabernet Franc - Very much a Burgundy-styled light Cab Franc. Bright cherry. 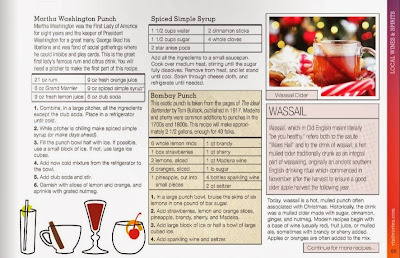 This vintage opens with a hint of vanilla and plum. The complex palate is a mix of wild berries and stone fruit. Nice acidity. White pepper finish. Lovely!!! Then we got what we came for!!! Leon Millot. Leon Millot is among my favorite reds, but it must contain some of the deeper, bigger, more purple-y version of the grape, to make a truly great version of the varietal. 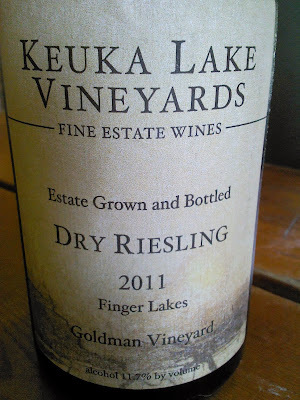 And Keuka Lake Vineyards makes one of the best versions of it I have ever tasted. 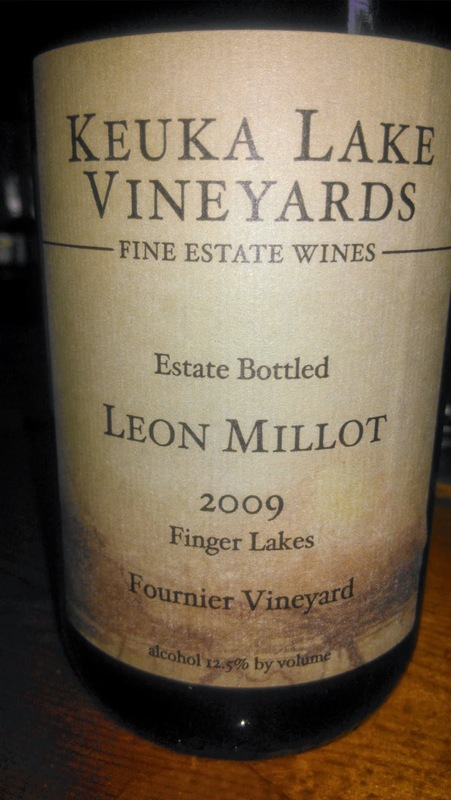 2011 Leon Millot – A big nose and gulp of tart wild black raspberries, plum, and cassis. As big and elegant as a Cabernet Sauvignon, but with much more subtlety. Lots of vanilla and spice. A big, deep red wine, with lot of fruit, nice but not overly big tannins. Leon Millot is one of my favorites. This is a blend of the bigger, deeper Leon Millot strains (from the Boordy line), with a smaller amount of the more Marechal Foche-y Millot, from one of the most famous vineyards in the Finger Lakes – the Fournier Vineyard. This is a fantastic wine. Good big and young. But will absolutely age incredibly well. This is absolutely a staff and Melvin favorite. Mine too! Leon Millot 2012 – This is a big, blueberry cobbler of a wine, dark berries, with hints of bread, tomato, leather, and fallen leaves. A big, huge red wine with soft tannins. Another big, red winner of a wine!!! Leon Millot 2009 – This was a big whiff of cassis and blueberry. A big, jammy red. A hint of tomato. Still very tight. Will absolutely age for years to come. 5-7 years minimum. Our tasting was a complete success. And a surprise. 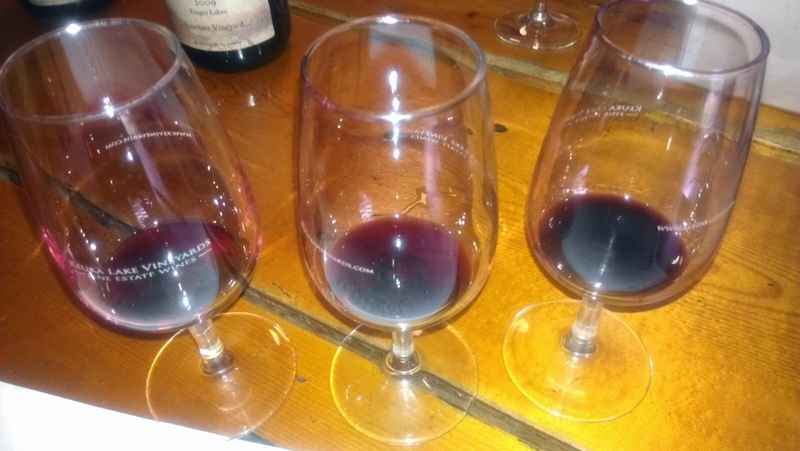 I’d only had a few KLV wines up to this tasting. 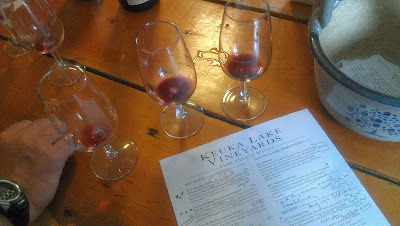 But with this tasting, I must say, I now consider KLV to absolutely be one of the better wineries in the Finger Lakes! Absolutely fantastic. A must find kind of wine. I had always been a big fan of the Leon Millott, but the Rieslings and other wines were a complete revelation!!! Special thanks to Brian and Rich for taking photos after my phone died! 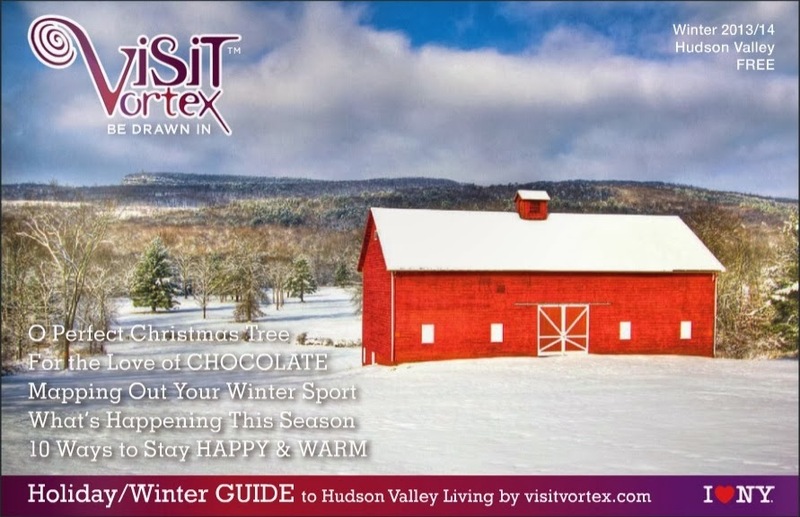 Visit Vortex: Punches, Wassails, and Flips Made Local For the Holidays!!! 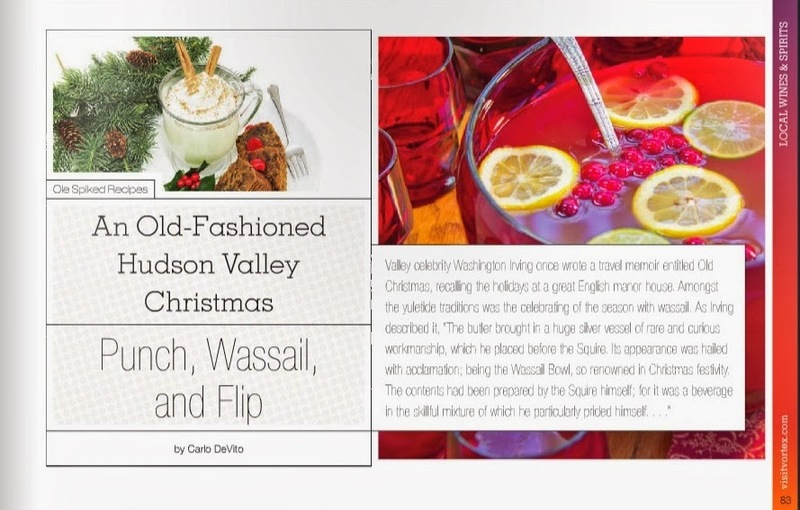 Visit Vortex has an entire article on Punches, Wassails, and Flips made with local wines, beers, spirits, and ciders available in the Hudson Valley. 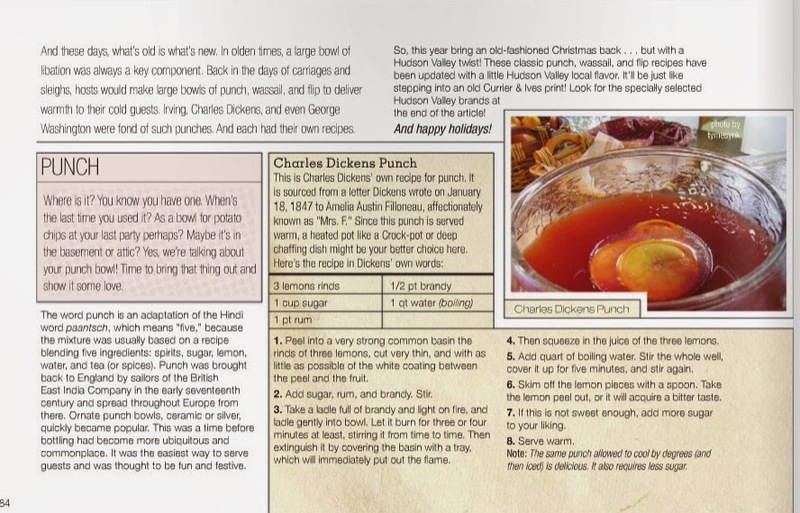 Make a few recipes this holiday season using your favorite local products and enjoy! PINE GROVE -- A global wine shortage may be looming, but local wineries will have more than enough to go around. According to a report released Monday by Morgan Stanley Research, the global supply of wine in 2012 fell to about 300 million cases. A decade ago, the industry produced an excess of 600 million cases. Global production has been in a decline since it peaked in 2004, while demand in the U.S. and China has been booming. The U.S. consumes about 12 percent of the world's wine but only produces about 8 percent of it. Consumption continues to grow, rising 2 percent in 2012. China's consumption has quadrupled over the last five years and will soon overtake France as the world's top buyer. Local wineries will probably remain unaffected by the shortage while larger producers may see it as an opportunity to start exporting. "It could be a positive thing because if there is a global shortage then it is going to be price increases," Sarah Troxell, winemaker at Galen Glen Vineyard and Winery, in Andreas, said Wednesday. "A lot of the local wineries have great quality wine and reasonable prices." Troxell said demand has been growing locally, but supply has been able to keep up. "Each year we need more, but our vineyard is filling that," she said. Galen Glen has a 20-acre vineyard and adds new sections each year, she said. Local producers also control their own prices because they grow just about everything they sell, she said. Ralph Heffner and his apprentice, Steven Agosti, had more than enough grapes to press Wednesday afternoon at Jersey Acres Farms in Pine Grove. 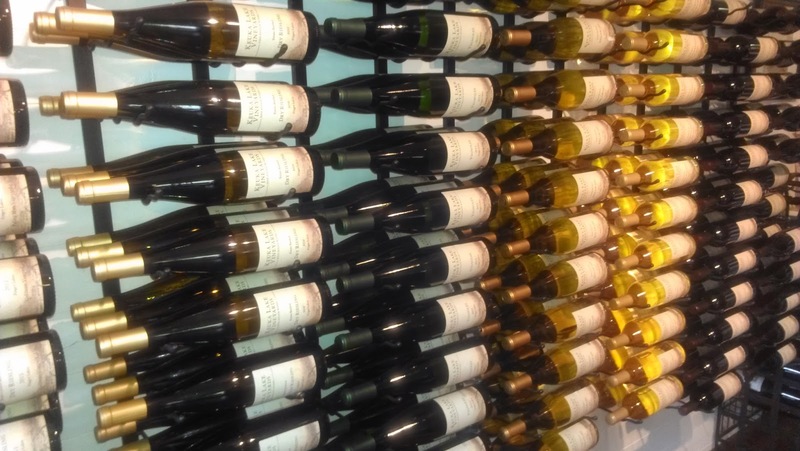 "It's all about quality," Heffner said about the price of wine. 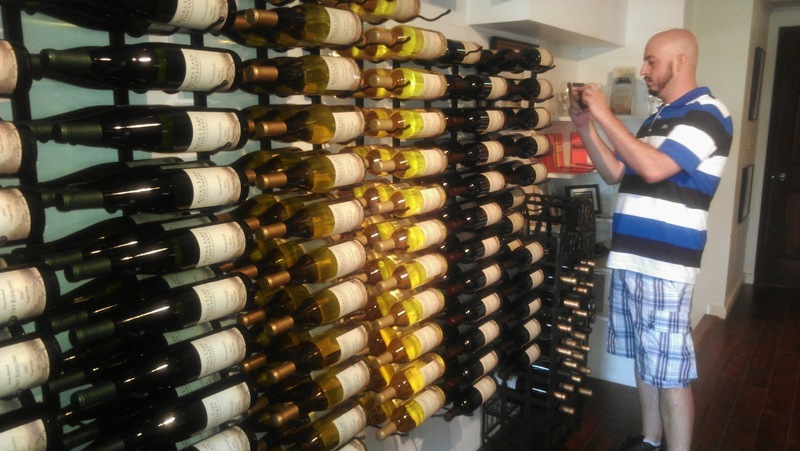 Heffner is the owner of Stone Mountain Wine Cellars, which he operates on his farm. He only started selling wine about nine years ago and the business remains focused on the local market. "I think the state stores would have to raise all their prices before small stores have to increase theirs," Agosti said. Production in Europe, which still makes up 60 percent of the global market, fell 10 percent in 2012. Poor weather this year means production is likely to decrease even further. 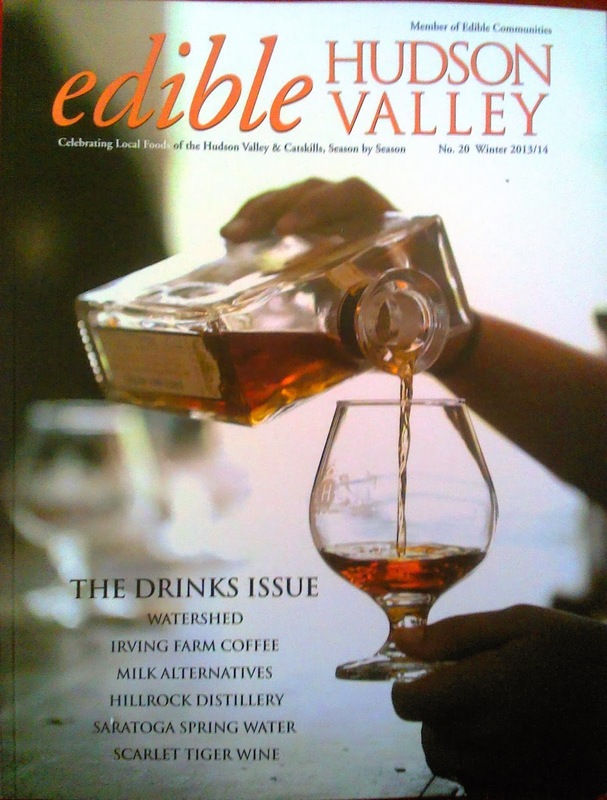 Meanwhile, Pennsylvania wineries have had a great harvest. "We had an excellent crop this year," Troxell said. 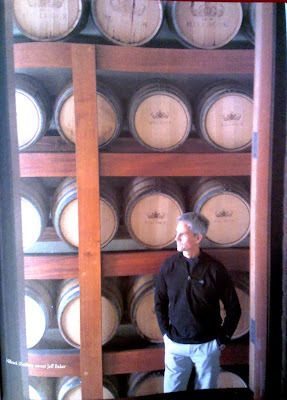 "All of the tanks in the wine cellar are full of new wine." The wine will age, clear and settle before being ready to bottle next year, she said. While local wineries see a lot of out-of-state visitors, most are not ready to start exporting. "As a small winery, we don't export out of state but I imagine there are some opportunities there," Troxell said. "At one point we may look into that." 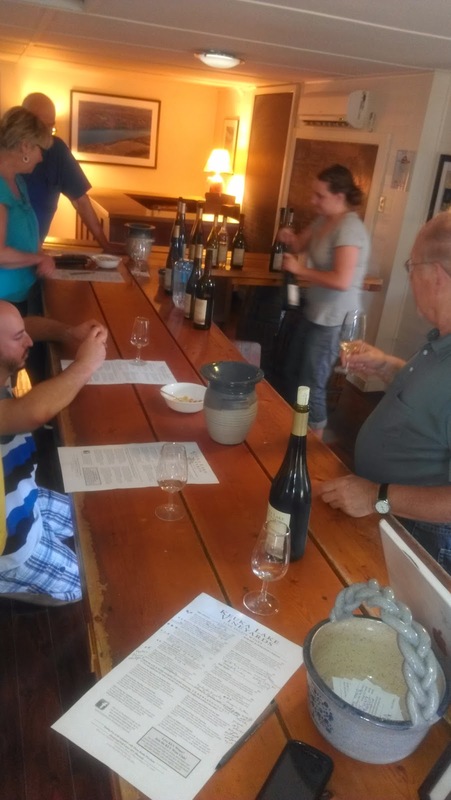 With names like Rooster Red, Cold Soil White and Harvest Blues, the colorful wine list at Terhune Orchards’ tasting room reflects the agrarian roots of the family-run farm in Lawrence. And it also represents a growing segment of business operations at the 200-acre farm, best known for its sprawling orchards and family-themed events. 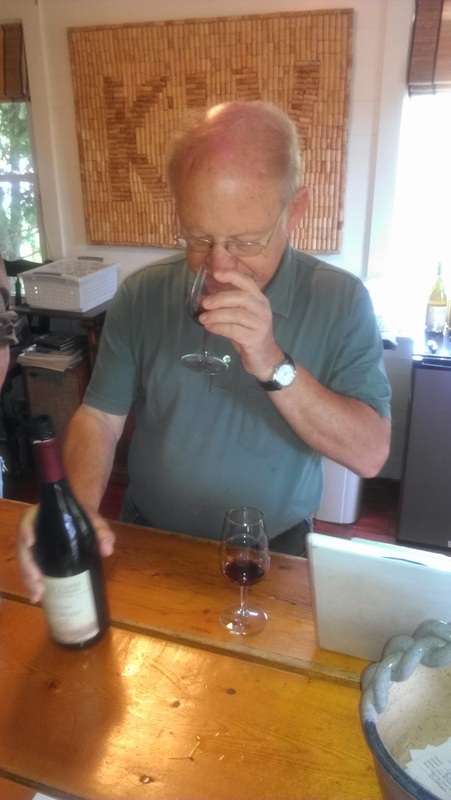 “Since we have opened our tasting room in 2010, our sales have grown with every season,” said Tannwen Mount, the daughter of Terhune owners Pam and Gary Mount. “Our wine venture now allows us to offer corporate retreats in the spring and fall,” she said. 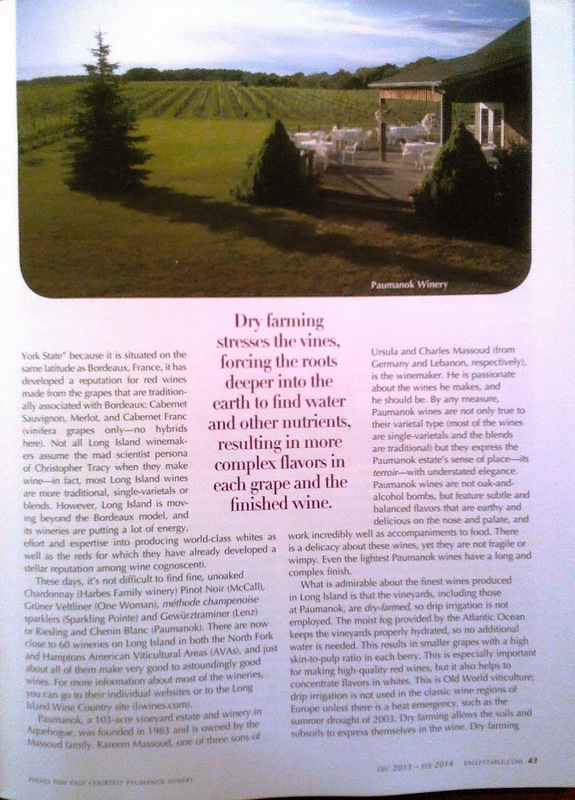 Terhune’s focus on the fruit wine niche has already earned them high praise. Just Peachy is a blend of peaches and the vineyard’s apple wine, and it was awarded the gold medal for fruit wine and the Governor’s Cup for fruit wine in the 2013 New Jersey Wine Competition. 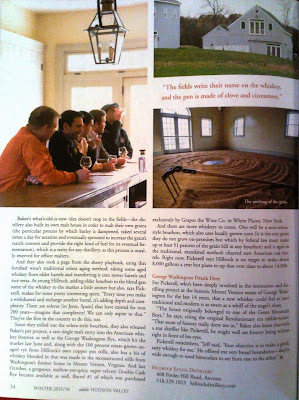 “We are very honored and pleased, especially as a young winery, to win such an award,” Tannwen Mount said. 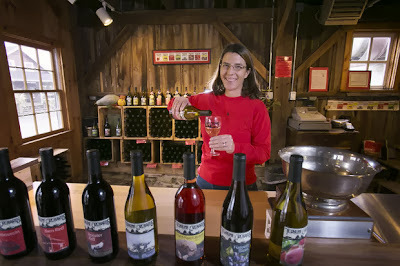 She inspired the Terhune winery endeavor after she returned from six years living in California in 2003. 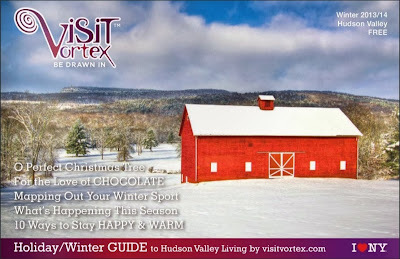 Terhune’s tasting room, which is a converted barn, is open Fridays through Sundays from noon to 5 p.m. Terhune has a Holiday Wine Trail weekend event planned for Nov. 30 and Dec. 1 from 11 a.m. to 5 p.m.
Mount said the greatest challenge the farm faced was navigating the requirements for wine growers in New Jersey. A law that went into effect in May expanded vintners’ opportunities to sell, both within New Jersey and outside its borders. “With this venture came a new legal system, permits, and paperwork to keep track of,” said Mount. 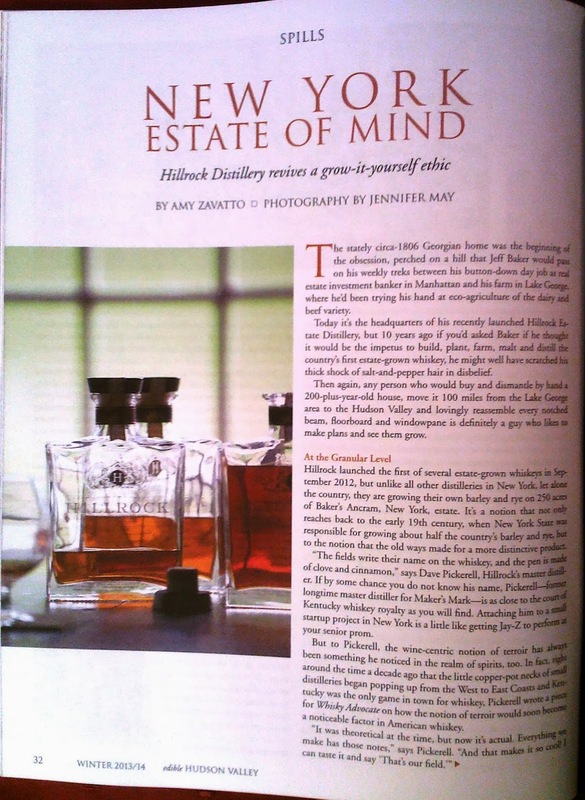 Hillrock Estate Distillery, in Columbia County, in the Hudson Valley, continues to draw coverage and praise. No question that both are well in order. A great piece in the Winter 2013/2014 issue of Edible Hudson Valley about Hillrock, owner Jeffrey Baker and the rest of the crew! 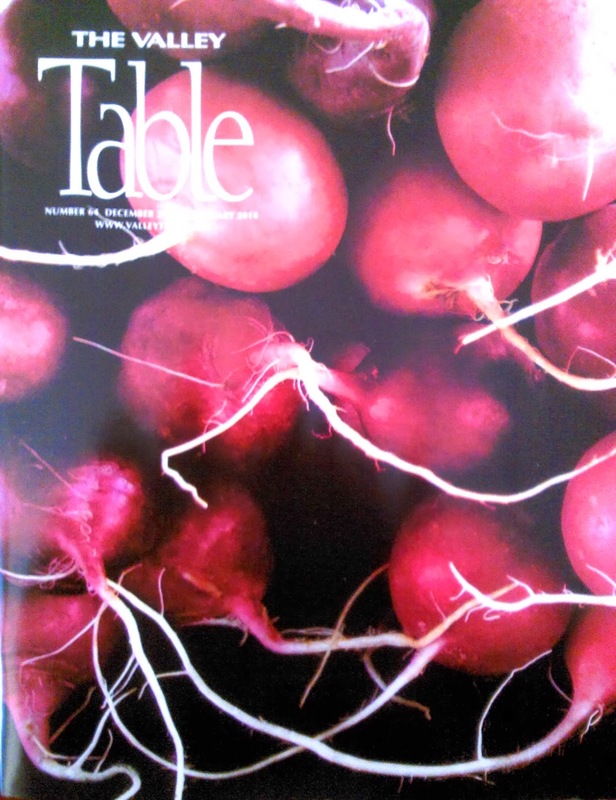 And kudos to Eric Steinman and Nancy and Ray Painter of Edible Hudson Valley. 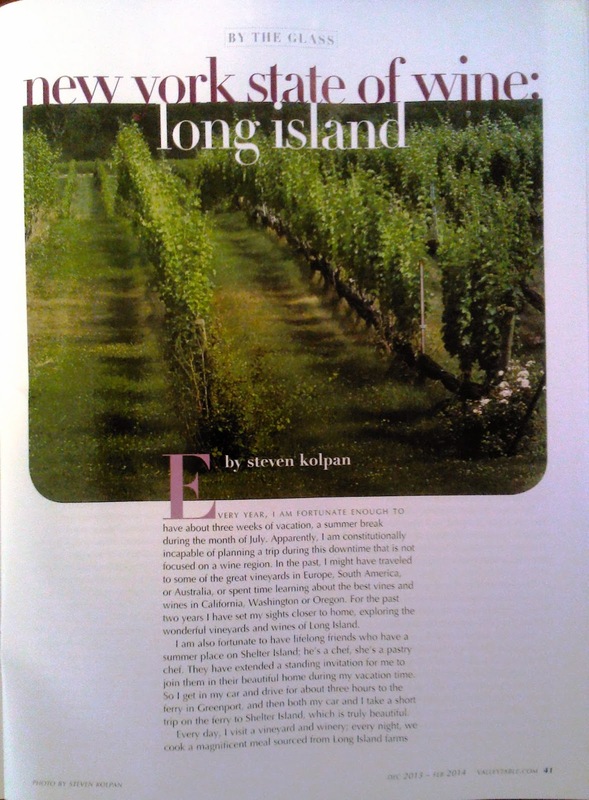 In the December 2013-February 2014 issue of Valley Table, world renowned wine expert and writer Steven Kolpan waxes rhapsodic about summer sojourns to Long Island, and his vineyard visits there. He says that Long Island produces "extraordinary wine"...and "I believe that Long Island wine is sacred ground for fine wines." 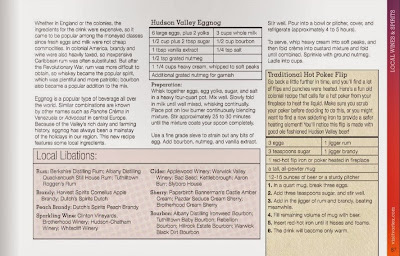 Kolpan also writes, "Kudos to Howard G. Goldberg of the New York Times for championing these wine in print so early on." He then continues to compliment Goldberg's current continued support of the region. 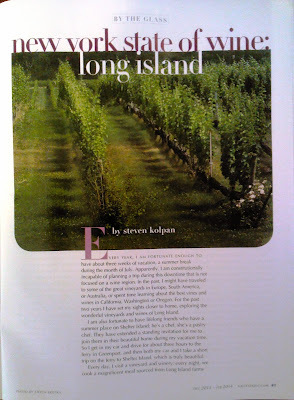 Kolpan is always one of my favorite wine writers, and this article is a big win for the region. Kudos to you, Long Island! ● RdV Vineyards, in Delaplane, is the work of Rutger de Vink, a Dutch American who poured a family fortune into building a great vineyard and now sells out his $100-a-bottle wines. 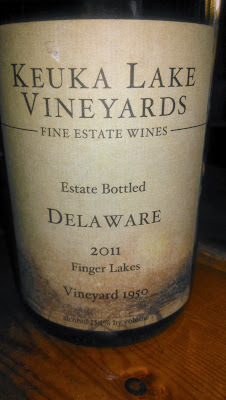 ● Delaplane Cellars, just a few minutes from RdV, was built by Jim Dolphin, who was in real estate and used proceeds from the sale of his home to turn his winemaking hobby into a business. ● Glen Manor, in Front Royal, was the brainchild of Jeff White, a fifth-generation farmer along Skyline Drive who discovered that his land was perfect for wine grapes. 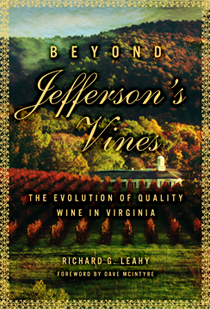 AND READ RICHARD LEAHY'S BLOG FOR MORE ON THIS ARTICLE AND OTHER RAVES ABOUT VIRGINIA WINE!